Every day, our lives abound in political feelings and opinions. Not just on Election Day. The Participatory Politics Foundation is a 501(c)3 non-profit organization with a mission to increase civic engagement. PPF develops free Web tools that create new opportunities for engagement with government. Voting is important, but we have a chance to go further and create a political process that is more participatory, creative, responsive, and accountable. We believe that the internet opens an unprecedented opportunity to extend and amplify political voices and actions. For our political system of representative democracy to work effectively, it is essential that we have the ability to see what’s happening in government and communicate our ideas to people in power. PPF builds builds not-for-profit and open-source Web tools for civic engagement, with a focus on usable design and clear presentation. OpenCongress.org is our flagship project for the U.S. Congress, with OpenGovernment.org (currently in public beta) re-launching in 2012 for public engagement with all 50 U.S. state legislatures and more municipal governments. We hold these principles because we believe they form the best possible foundation for providing a valuable and independent public resource. More than just ideals, these principles are formally incorporated into our not-for-profit organizational structure. Since its public launch in February 2007, OpenCongress grew to become one of the most-visited non-profit government transparency websites in the United States, with up to one million visits per month and a user community of more than 300,000 members. Our first sibling non-profit was the Participatory Culture Foundation, working to build a fairer, more open, and more democratic media space. PCF makes the internet TV player Miro, one of the most popular open-source software applications in the world, and the successful video subtitling software Amara. Our latest sibling non-profit is the Center for Rights and its main project, Fight For the Future, advocating for the public interest & digital rights & net freedom & open Web innovation. FFtF operates in coalition with the fledgling Internet Defense League. Our work to help build public knowledge about Congress is guided by the 8 Principles of Open Government Data: public data should be open to the public, full stop. We demand that the U.S. government comply immediately and in full with all Principles. PPF believes a truly accountable representative democracy is not possible without each of the following necessary conditions: fully open government data, civic engagement initiatives for broad-based public participation, and collaboration with outside partners in government innovation. In addition, to fix our currently broken and systemically corrupt system of captured government, PPF stands with the reform community in advocating for full public financing of elections and comprehensive electoral reforms. 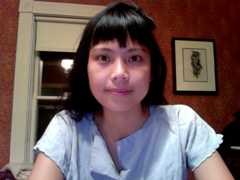 Tiffiniy Cheng is from Worcester, MA and has a BS in engineering and urban planning from the Cooper Union. She has worked in non-profit, urban planning, and public policy-oriented organizations. Tiffiniy also co-founded both of PPF’s sibling non-profits: the Participatory Culture Foundation (PCF); and Fight For the Future. In Jan. 2012, Fight For the Future helped to organize and coordinate the largest online protest in history, American Censorship Day. Nicholas Reville is from Worcester, MA and has a B.A. in Public Policy from Brown University. He worked in a variety of political activism positions for several years before co-founding the Participatory Culture Foundation (PCF). He is an Ashoka Fellow and active with open Web advocacy. PCF’s major projects include the following: the Miro video player, one of the most popular open-source software projects in the world; and the successful Amara subtitling platform, with partners such as TED Talks, Netflix, and PBS News Hour. Holmes Wilson is from Worcester, MA. He founded the Worcester Computer Co-op, an organization that uses free software and recycled computers to start computer labs in his city. He has a B.A. in Italian literature and speaks Italian. Holmes is also a Co-Founder of the Participatory Culture Foundation and Fight For the Future, which he co-directs with Tiffiniy, launching such innovative campaigns as the Internet Defense League and more. Coming soon: PPF Director bios & links for Prof. Zephyr Teachout. David is the Executive Director of PPF and served as Program Manager of OpenCongress since its launch in Feburary 2007 through 2013. He graduated from Brown University with degrees in English and Philosophy. Previously, he worked as the first Outreach Coordinator for the Participatory Culture Foundation and helped to launch the open-source Miro video player. When not managing development on AskThem, David spends a decent amount of time following the Milwaukee Brewers. He lives in Brooklyn, NY & rents a desk space with the great civic hackers at OpenPlans in Manhattan. Contact: david at ppolitics .org. … and many more open-source code contributors, web designers & open-data developers. See also our superb ten-person AskThem Advisory Council. Andy Ross is the Lead Programmer of OpenCongress and has served as technical lead on the project since development started in 2006. 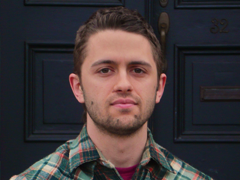 Andy maintains the core data streams that form OpenCongress and builds the site’s open-source Ruby on Rails code. A dedicated fan of the Boston Red Sox, he lives in Los Angeles, CA. Donny Shaw is a researcher and blogger at OpenCongress. Since 2007, he has been digging through legislative texts, monitoring roll call votes, tracking bills and adding editorial context to congressional info in order to make it intelligible for non-DC-insiders. He lives in Western Massachusetts, and when he’s not researching Congress he’s taking care of apple trees and picking berries. Conor is the Editor of the OpenCongress Wiki. Previously, Conor was the managing editor of Congresspedia (which is now the OC Wiki) and Election Protection Wiki on Sourcewatch. Along with running RaceTracker and other community projects on the OC Wiki, Conor develops our semantic MediaWiki code. He lives in Austin, where he attended the Masters degree program at the LBJ School of Public Affairs at the University of Texas. Moshe Bildner is a rising Junior at Johns Hopkins University. He is currently studying International and Near Eastern Studies. Areas of interest include immigration and economic policy. He has researched and blogged about campaign finance reform, unemployment insurance, as well as a variety of other topics. In addition to volunteering on OpenCongress, Moshe is training to become an EMT, and in his free time enjoys cooking food almost as much as he enjoys eating it. Jason Rhee is a rising senior at NYU. He is studying economics and public policy. Some of the issue areas he’s researched and blogged about on OC include: unemployment benefits, midterm elections, and taxes. In addition to volunteering on OpenCongress, Jason enjoys longs walks on the beach, puppy dogs, and reading romance novels while taking bubble baths. Hilary Worden will be a second-year student at the University of Washington in the fall, where she is studying Computer Science and Political Science. Some of the issues she’s researched and blogged about on OC include cybersecurity, the federal reserve, and earmark transparency.